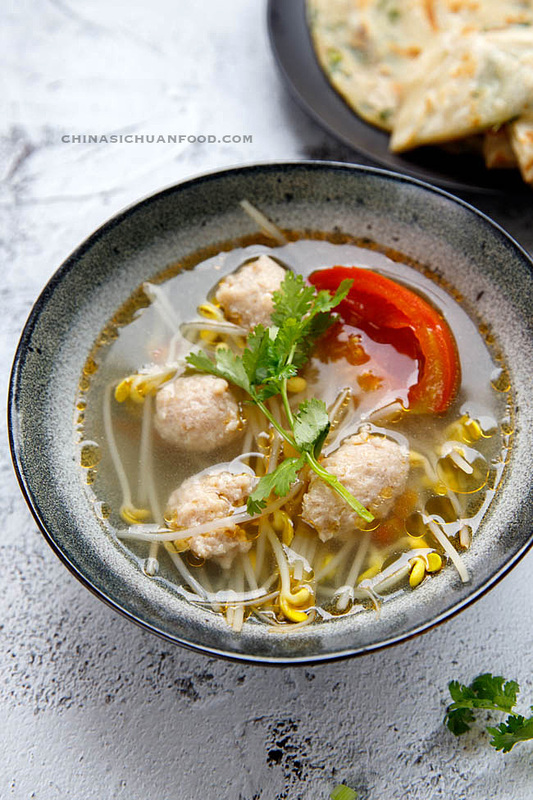 A very popular tomato meatball soup in my family passed by older generations–tomato bean sprouts and meatball soup. 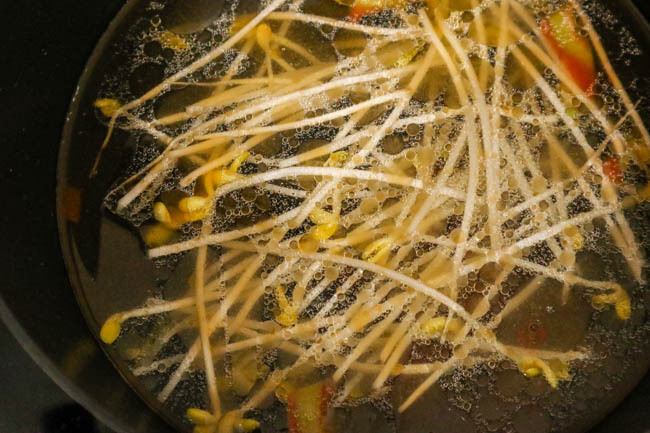 People in Sichuan loves to use tomato and bean sprouts as the basic ingredients for a vegetable stock. We add wonton, beef slices, pork slices and meatballs. Tomato gives a mild sweet and sour taste while bean sprouts bring enough freshness. 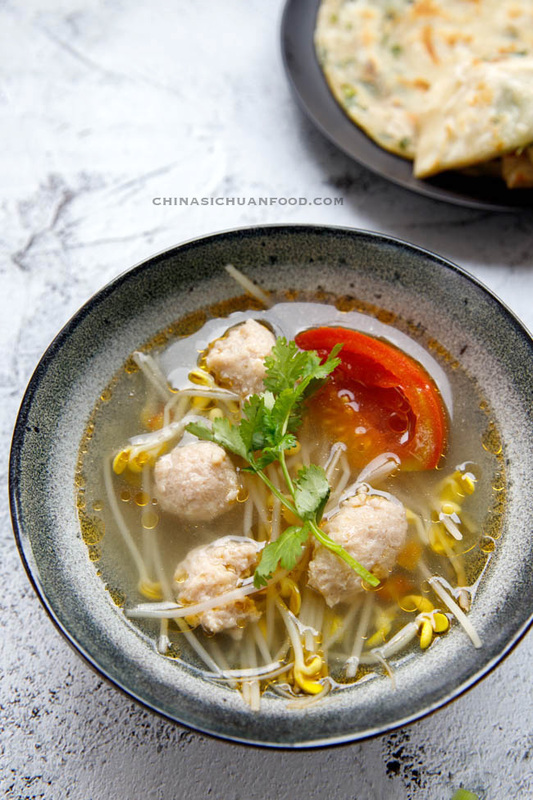 When combined with the fat released by meatballs, this soup should be one of the best soups in Chinese cuisine even with very basic ingredients. Besides tomatoes, dried seaweed (紫菜) is also a great option especially for wonton soups. I matched this meatball soup with scallion pancakes. Firstly, soak ginger and green onion with around 1/2 cup of hot water. Wait for 20 minutes until it cooled down.We do not include chopped ginger and green onion in the meatballs as they may influence the texture. 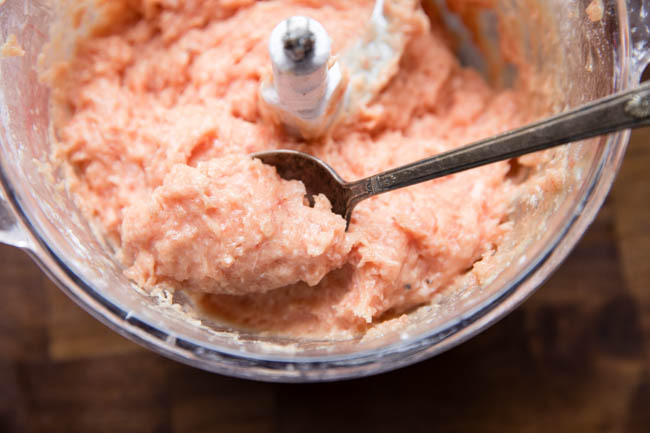 Cut your pork into large strips and place in a blender. Mix for 1 minutes. Add salt, pepper, soy sauce and egg. Then drain 1/3 of the scallion and ginger water in. Mix for another 1 to 2 minutes. Then repeat the process and add the remaining 1/3 water. Make sure all of the water is completely absorbed. Place 2 tablespoons of cornstarch and the last 1/3 ginger and scallion water. 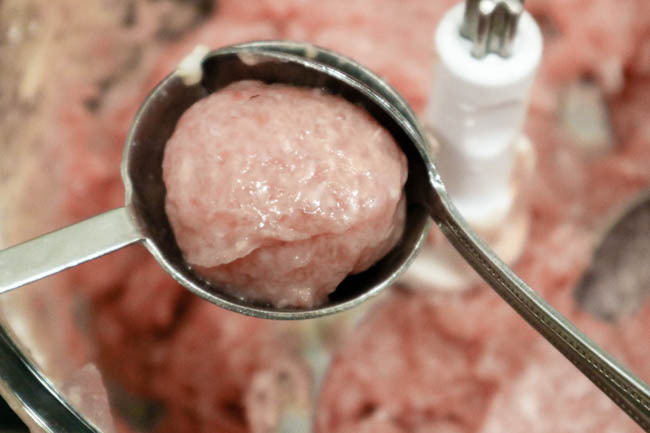 Blend until the meat turns pink and fluffy. 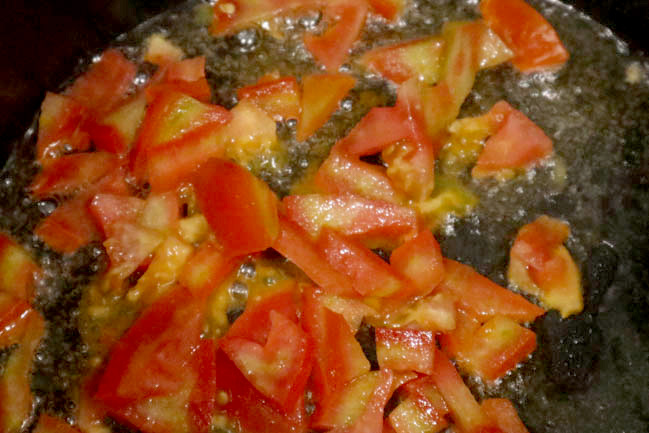 Fry the 1/2 of the tomato until soft. And add enough water and 1/3 of the bean sprouts. Scoop the meatballs and place in the soup base. When the meatballs float on the surface, continue cook for another 2 minutes. Add salt to taste and serve hot. The meatballs come out very juicy and tender with a slightly touch of sour and sweet taste. I highly commend trying at least once in cold winter days. 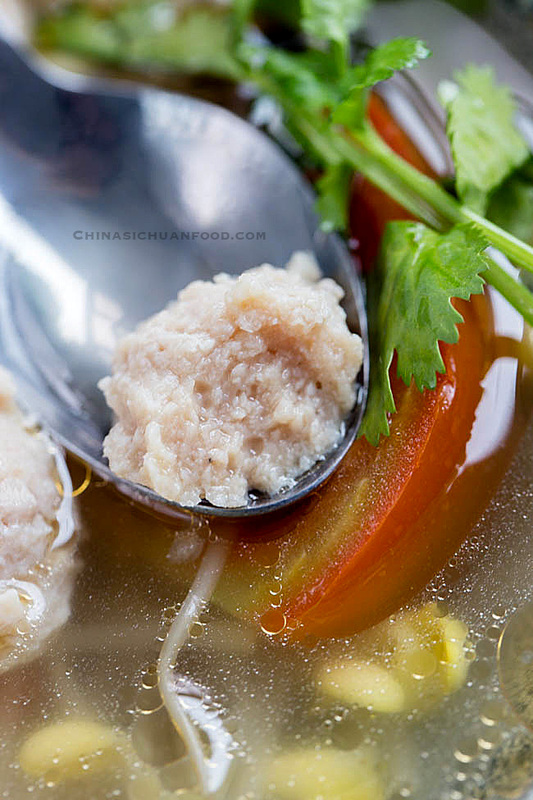 A super easy homestyle tomato meatball soup, extremely popular in China especially Szechuan area. Firstly, soak ginger and green onion with around 1/2 cup of hot water. Wait for 20 minutes until it cooled down. 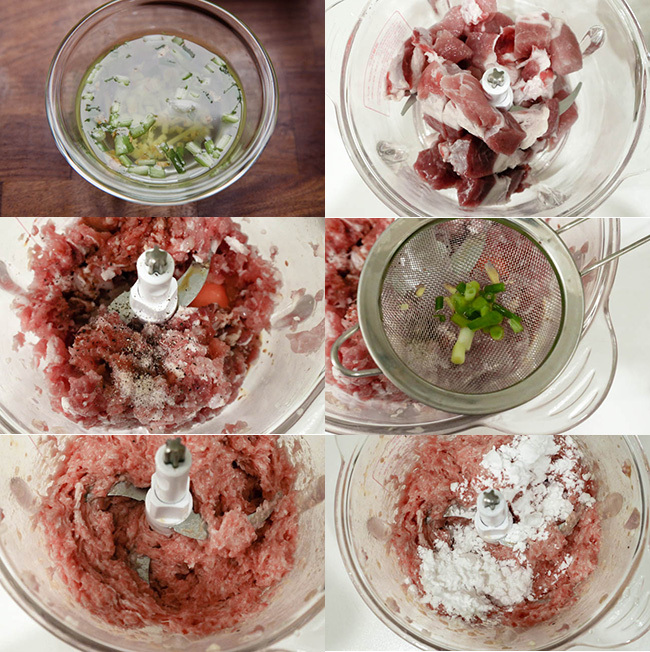 Place 2 tablespoons of cornstarch and the last 1/3 ginger and scallion water.Blend until the meat turns pink and fluffy. Fry the 1/2 of the tomato until soft. And add enough water and 1/3 of the bean sprouts. Add smashed ginger and simmer for at least 25 minutes after boils. 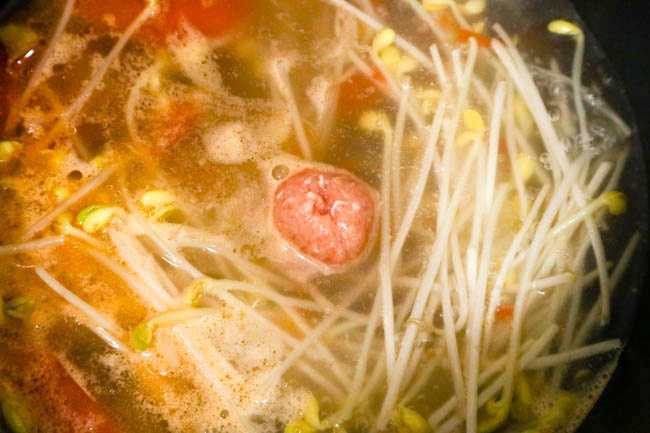 Place the remaining bean sprouts in and scoop the meatballs too. When the meatballs float on the surface, continue cook for another 2 minutes. Add salt to taste and serve hot. The meatballs come out very juicy and tender with a slightly touch of sour and sweet taste. I highly commend trying at least once in cold winter days.